Home Blog Scotland’s self-catering industry held a hugely successful conference. The Association of Scotland’s Self-Caterers (ASSC) has held a record-breaking event as part of its 40th anniversary year celebrations. Over 300 delegates, industry experts, and public sector stakeholders descended on Glasgow’s Hilton Hotel for the annual meeting of the sector. This year’s conference was the biggest gathering of professionals in the traditional short-term rental sector held in Scotland and was also the largest conference of its kind in Europe. 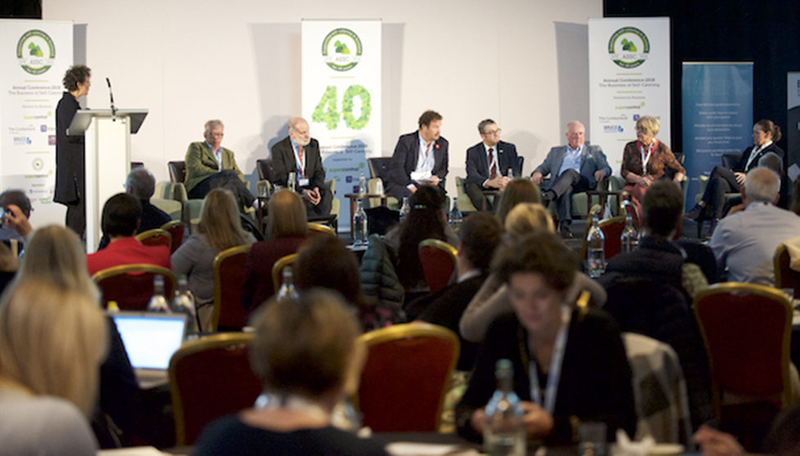 Delegates were treated to thought-provoking sessions on technology, customer service, and the use of data in the traditional self-catering industry as well as an expert panel on the future of sector featuring voices from across the UK and Ireland. Conference this year forms part of the ongoing celebration of the ASSC’s 40th anniversary of representing the traditional short-term rental sector in Scotland; other highlights have been a glamourous reception held in the Scottish Parliament and the launch of the Far More Than Just Houses report which showed that the sector contributes £723million to the Scottish economy each year. Delegates left the conference feeling optimistic, positive, and energised from the experience – ready to take on the challenges and maximise the many opportunities that the self-catering will face as it carries through the rest of this anniversary year. ASSC chief executive, Fiona Campbell, said: ‘With self-catering being as topical as it is right now, it’s great to be back in Glasgow for our annual conference in this anniversary year for the ASSC. ‘As well as catching up with old friends and meeting new ones, it was great to hear and learn from some truly exceptional speakers on a range of interesting subjects.